For the discerning customer seeking a revolutionary experience, the Miller Elite Welding Helmet is the best option. These types of helmets have digital controls, are automatic, feature four operating modes and come with a three-year warranty. In addition to their excellent functionality, they also have amazing and cool designs. This review shall reveal all the advantages and positive attributes of this helmet, and shall also mention some of the disadvantages so that you are able to make an information decision for purchasing. 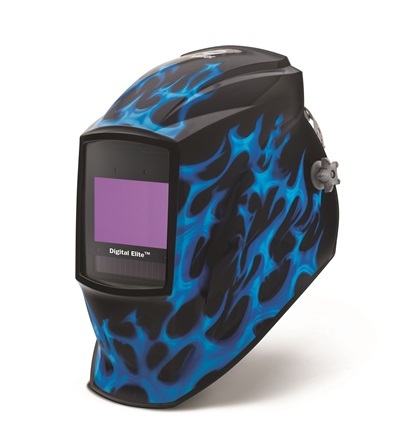 The Miller Elite Welding Helmet is available in a range of colors and ultra-modern designs. 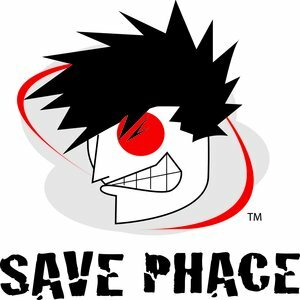 There are even some special edition designs, where a part of the proceeds are donated to charities and other good causes. The digital controls help the user to easily adjust the mode and settings. They also help to prevent the wear and tear that may be caused by constantly lifting and lowering the window. This helmet has a comfortable and adjustable fit, and for that reason, it is easy to wear this helmet for extended periods of time. It features a wide viewing area of approximately 9.22 square inches, and the viewing has exceptional clarity. There are four operating modes which are welding, cutting, grinding and X-mode. These modes attest to the flexibility of this helmet. When purchased, it includes five outside cover lenses and two inside cover lenses, as well as a helmet bag, making it easier to store and transport where necessary. There are four arc sensors for superior lens response. Works for up to 30,000 hours before the batteries need to be replaced. This helmet is highly durable and will last way beyond the warranty date. The power button may be difficult to press with TIG gloves on. The weight of the helmet makes it challenging to use for long periods of time. There is very clear viewing when the shade is open. The clarity remains outstanding once the shade is closed. 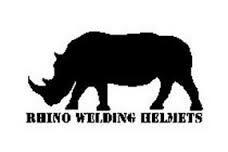 This helmet is a preferred option by professional welders as it is long lasting and durable. In addition, it allows for the job to go faster due to its myriad of automatic features. Digital controls make it easy to set the preferred shade.This also means that should the conditions change for any reason, it is easy to adjust the helmet to fit those conditions. 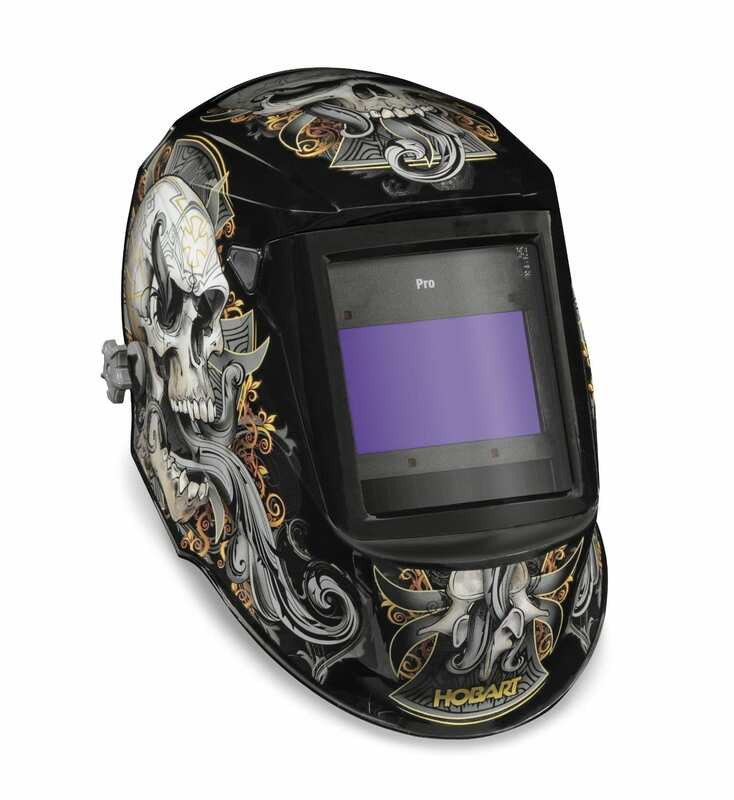 An excellent helmet to use for TIG welding, as it can block in light that comes in under the helmet, and it also works exceptionally well in other modes. In addition to being very comfortable, this helmet offers excellent protection for the eyes. Some of the Miller Elite Welding Helmets are front heavy, making them uncomfortable for long term use. Many customers are raving about this product, so much so that they are willing to replace all that they have used in the past with this helmet. They concur that it is worth the price paid. In addition, customers have commented that this helmet reacts well to light, whether sunlight or artificial light. Their attractive designs make them stand out and they are great conversation starters. With everything around the world becoming digital, it is excellent news that welders can enjoy the advantages of technology as well. The automatic features that are built into this helmet also make it easier for beginners to learn how to use them, and the helmet offers additional benefits for the professional welder. Another feature that makes these helmets stand out is their unique and modern design. The inspiration for these designs appears to center around ‘rock’ music, with bright colors, flames, and bold imprints. As well as their excellent automatic features and bold designs, these helmets are highly durable and they deliver superior protection to the eyes and face of the welder. 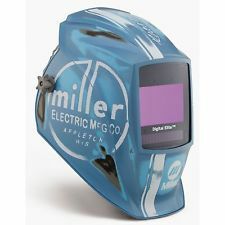 Order your unique Miller Elite Welding Helmet today.